Central City Rollergirls take second place at Tattoo Freeze 2012 Tournament! Last Sunday, roller derby players from all over the UK flocked to Telford’s Tattoo Freeze convention to see 8 of the UK’s top leagues compete in the first UKRDA tournament. 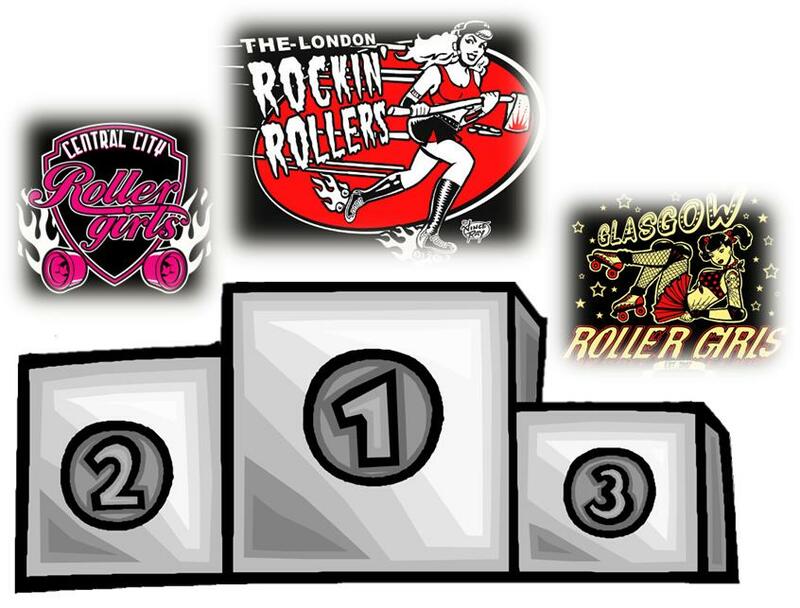 The knock out tournament involved a set of heats, followed by semi-finals and final play offs, with London Rockin’ Rollers taking first place, CCR came second – after winnign 2 out of 3 games- and Glasgow Roller Girls rolled into the third spot. CCR’s first game of the day was the highly-anticipated second city showdown against Birmingham Blitz Dames. Like all the games that preceded it, the game got off to a close start. The 30-minute deciding period seemed to bring a ‘do-or-die’ attitude out from all the teams, and the reduced period meant that players only needed 4 major penalties to be removed from the game. This rule proved to be fundamental, as both teams had players ejected before the 30 minutes ran out. This resulted in many power play situations, and effective exploitation of these saw CCR advance to the next round of the competition beating Blitz Dames 133 – 50. 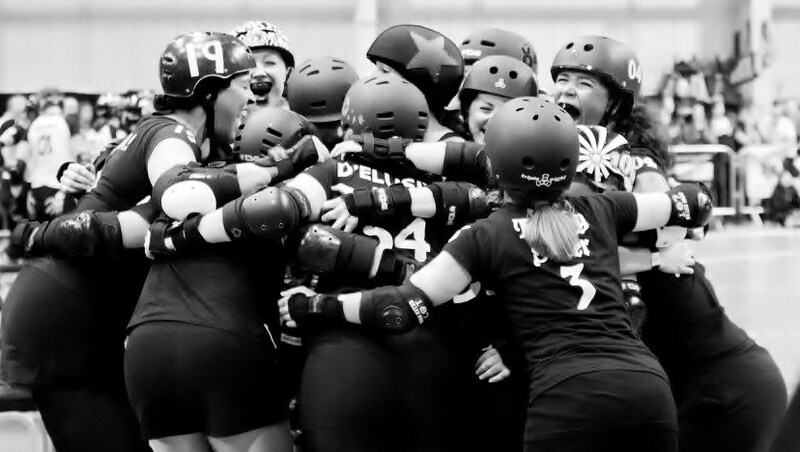 After their convincing win in the fourth heat of the tournament over London Rollergirls’ Batter C Power, Glasgow Roller Girls progressed to meet CCR in the Semi-Final. The Glaswegians had come ready to battle, and armed with their notoriously heavy hits teamed with strong walls, they took an early lead. However, power plays proved crucial again and CCR managed to turn the game around with the final score ending CCR 97 – 77 GRG. The final saw CCR take on London’ Rockin Rollers, who had earlier beat Lincolnshire Bomber Roller Girls and Auld Reekie Roller Girls. In the first few jams, scores were close and with similar ‘hit it and quit it’ style jam calling, scores crept up slowly. A power jam in LRR’s favour saw them take the first sizeable lead of the game making the scores LRR 30 – 4 CCR. LRR kept the lead, with tight-knit walls keeping CCR scoring at bay, and even though CCR remained positive and neither team showed signs of slowing, the game ended LRR 105 – 23 CRR. The tournament, which was organised by UKRDA in conjunction with CCR, was a great day for UK roller derby. We’ll be keeping our eyes peeled for developments in the UK ranking system which will hopefully have been assisted by this exhibition tournament. See you at Tattoo Freeze 2013! Photo courtesy of Scott Clifford. This entry was posted in Reports, Results. Bookmark the permalink.